Brass and Ivory: Life with MS and RA: I am still me. When I read about chronic illness in discussions of public health policy, I note the following information is shared and sited repeatedly. Chronic diseases – such as heart disease, stroke, cancer, diabetes, and arthritis – are among the most common, costly, and preventable of all health problems in the U.S. Chronic diseases are the leading cause of death and disability in the U.S. Four modifiable health risk behaviors—lack of physical activity, poor nutrition, tobacco use, and excessive alcohol consumption—are responsible for much of the illness, suffering, and early death related to chronic diseases. 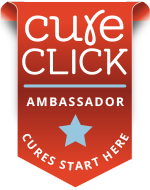 What advice would you give, or what would you want non-chronically ill people to know about your illness and your life? What would I want people to know? That's a tough one because I don't often think that non-chronically ill people would want to know more about my illness, honestly. Not unless they had a direct connection to me personally. Who are the non-chronically ill? What would I want the healthy siblings to know? Let me think (type) out loud. I don't enjoy having these diseases. In fact, I despise them. But they are a part of me now, so I can't comfortably despise them too much. I don't want to hate myself just because I have illnesses. Notice I didn't say that I am ill. I'm not "sick." If I have a cold or bronchitis, then I am sick. 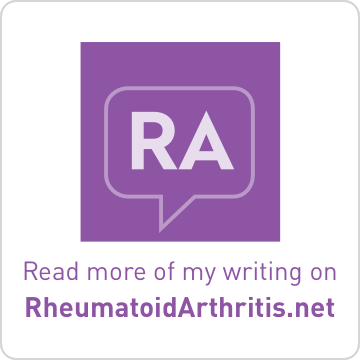 But MS and RA are not sicknesses, they are diseases which are constantly working within my body. They are always active whether we know it or not. There is the underlying fear of waking up one day and finding that one of the diseases has decided to attack and flare such that it takes away another little part of me or my abilities. That fear can become oppressive and in the quiet of the day, I am afraid. How do I deal with that fear? Sometimes I cry. Sometimes I look to the people who have been more affected by these diseases and observe how wonderfully they live their lives. That gives me inspiration that no matter what, I will be okay. I have already adapted to changing circumstances, I will continue to adapt as necessary. That's what humans do so well. We adapt. We are flexible creatures who do not need generations to adapt to new circumstances. We don't have generations, we only have our own life to live. That's what I would want the non-chronic illness people to know. We only have this one time through life. It isn't a straight journey, but has many twists and turns. True for all of us, non-chronically ill or chronically ill.
Now I'm highly adaptable (I have no choice) but I can't do this alone. I need your help and support. I don't need to be pitied or ignored. I don't need to be coddled or stifled. I do need your love and support. Treat me as you would like to be treated if you were in my situation. I am just like you, but traveling a slightly different path. I may be "diseased" but I am still me. Lisa, this is a brilliant post. I'm just blown away. I am glad you pointed out the all chronic conditions are not caused by lifestyle. I have never had a cigarette or a drink...ever. I only became so over weight within the last 3 years. I have never been into exercise, but did walk daily, worked etc. I get to tired of people saying eat them or take this vitamin or supplement. Nor do I think I am being punished by God. Of course you are still you. Many of us never ever smoked, etc just like Linda said. We ate right and exercised, etc. But a disease ( or 2 or 3 ) attacked us. I'd love it if people knew that too. I guess this is why the support we can give one another often tends to be more appropriate: we can give support without pity like you said. Nice. So since I used to drink and am known to smoke - err - ok I am still me too. "But they are a part of me now, so I can't comfortably despise them too much." Lisa, truer words were never spoken. Hating MS (or RA) is tantamount to hating yourself. I think it's better that we learn to live with it; befriend it, if you will. This was very well written. You hit the nail on the head with your descriptions. 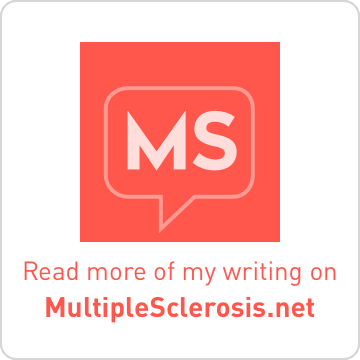 As I always say " I may have MS, but it does not have ME!" Sometimes the hardest part of this whole thing is the flip side of the coin...when you feel physically at your worst, but "you look so good for someone in your situation" becomes the litanny you hear with "invisible" diseases. I myself suffer from grand mal seizures as a result of the MS - rare, but so be it. 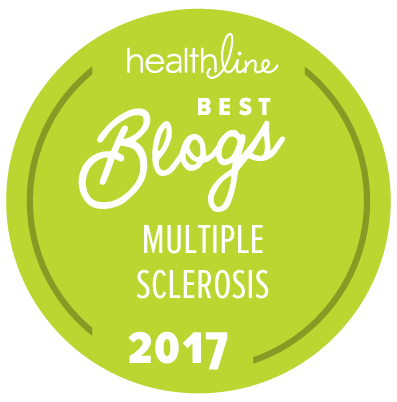 Thank you for voicing (blogging) the message of how we live with and adapt to how MS affects our lives so very well. Asking for help and support without wanting to be pitied or coddled or stifled -- that's the hard part, isn't it? Particularly when the line between helping and coddling is constantly changing. We ask a lot of our friends and family, but we're worth it, aren't we? Last Day to Vote in PepsiRefreshChallenge! !